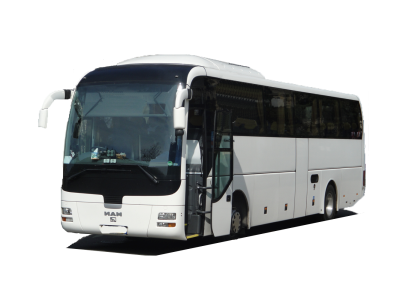 Bus transfers: From the simple short transfer in Sarrebrucken, the long-distance trip between Sarrebrucken, Neunkirchen, Homburg, and Volklingen or any other city in Saarland, to transfers within the borders or all over Europe, you can rent various sizes buses with local drivers at any time. Moreover, you have the possibility to book one of our shuttles for a transfer from or to the Sarrebrucken-Ensheim airport or to the bordering airports such as Frankfurt-Hahn and Zweibrucken. Sightseeing tours: You can rent buses for visits of Sarrebrucken or of Saarland by contacting Germany Bus rental platform. Our buses and drivers are waiting all year long to drive you anywhere. The local drivers are experienced and will know which roads are best driving. Besides, Germany Bus and its associated bus rental platforms can help you out in your research to creating the best itinerary for the perfect tourist tour in Saarland or Sarrebrucken. Excursions by bus: Departing from Saarland, you may want to drive around and explore the surroundings or discover the countryside's wonders; the best and most simple way is still to resort to Germany Bus for a comfortable trip. As an example, you can book a coach and drive along for a half or a full day in Rhineland-Palatinate, Luxemburg or Alsace-Lorraine. If your demand goes beyond the renting of a bus, Germany Bus and its partner City Tours operator can undertake the the reservation of restaurants, the booking of tickets for attractions or special events along with the ordering of a catering service for your group or the hiring of guides for excursions in Germany and in Europe. Travels by bus: Minibuses and buses with drivers are available for rent to the platform Germany Bus for long distance trips in Saarland. You can therefore decide to go on a journey to the Benelux, France, Switzerland, Austria, Slovenia, Italy, England and the rest of Europe. The tour operator City Tours proposes its professional tourist services in order to facilitate the setting up of your trips and visits to Germany and to Europe. Saarbrücken coach hire: the charter coach company "Busvermietung Saarbrücken" offers coaches of all sizes - starting from a minivan and a minibus - for your chauffeur-driven bus journeys in Saarland, in France, in Luxemburg, in Belgium, in Germany and in all other countries of Europe.
. Our competent team and its partners are ready to work your demands out and satisfy your tiniest requests so as to build the best tourist travel possible. An estimate is always drawn up before going any further. Whether it be a transfer, a visit, an excursion or the whole of a tourist program in Saarland, the choice is yours; let us take care of the rest!